Hidden in plain site! This splendid home with over 3700 sf of beautiful private living space boasts a great floorplan. Main level foyer,living room with fireplace,formal dining, open kitchen with innumerable cabinets, granite counters, Kitchenaid Microwave and Oven, and copper vegetable sink.Laundry/mud room off garage. Lovely guest powder room, peaceful main level master suite with new carpeting and separate entrance. Screened porch with ceiling fans provides 3 season use. A stunning billiard/family room upstairs has a fireplace, bar and half bath. The 980 sf 3 bay climate controlled garage has cabinets and sink. 3 Heat Pumps. There's an additional RV building.This 7 acre mostly wooded parcel is only minutes from town. NO DRIVE BYs Please. 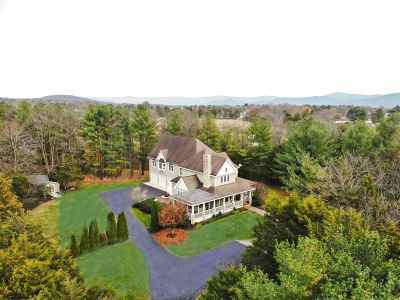 Best Use: Residential, However An Additional 2 Adjoining Acres Of Pasture Can Be Purchased.